You can’t control what the world throws at you. But you certainly can control your response, which will directly affect your physical, mental, and emotional wellbeing. At Choose Happy Vibes, we empower you to “choose happy” as your response and your daily mindset. What is Sound Healing: Sound healing is a type of energy medicine that uses vibrational sound harmonics to engage the relaxation reflex, release blocked energy, and bring the body back into alignment. Sound healing supports physical, mental, and emotional healing. 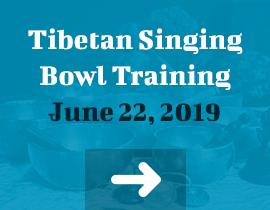 Singing Bowl Therapy Training Classes: The deep mindfulness, clarity, and pain relief provided by singing bowl therapy can be useful in a variety of professions, including nursing, teaching, yoga instruction, and more. Bring the Power of Singing Bowls to your patients, students, clients, and to yourself. Private Full Body Vibrational Massage: Playing singing bowls near or even directly on the body creates a ripple effect as the vibrations of the bowls cause vibrations within you. It’s like a massage from the inside out. We offer private one-hour massage sessions using Alchemy Crystal Singing Bowls, Frosted Quartz Crystal Singing Bowls, Tibetan Seven Metal Bowls and Gongs. Special Events: Whether you represent a school, a church, a women’s group, or a business, or you’re just looking for something special to do with friends or family, we can put on a special event for you. Our events can be tailored to your needs, whether they be healing, stress relief, massage, or meditation.